Our emotional health is often shoved to the side in our lives, much to our detriment. 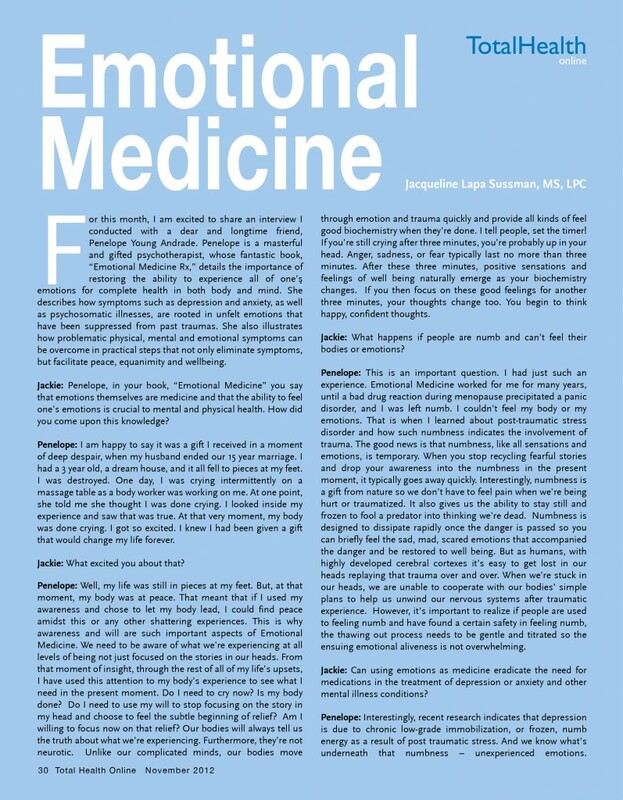 “Emotional Medicine Rx: Cry When You’re Sad, Stop When You’re Done, Feel Good Fast” discusses the principles of emotional health, as Penelope Young Andrade, psychotherapist, as she discusses the importance of the emotions in our life, and how they can affect us in other ways. 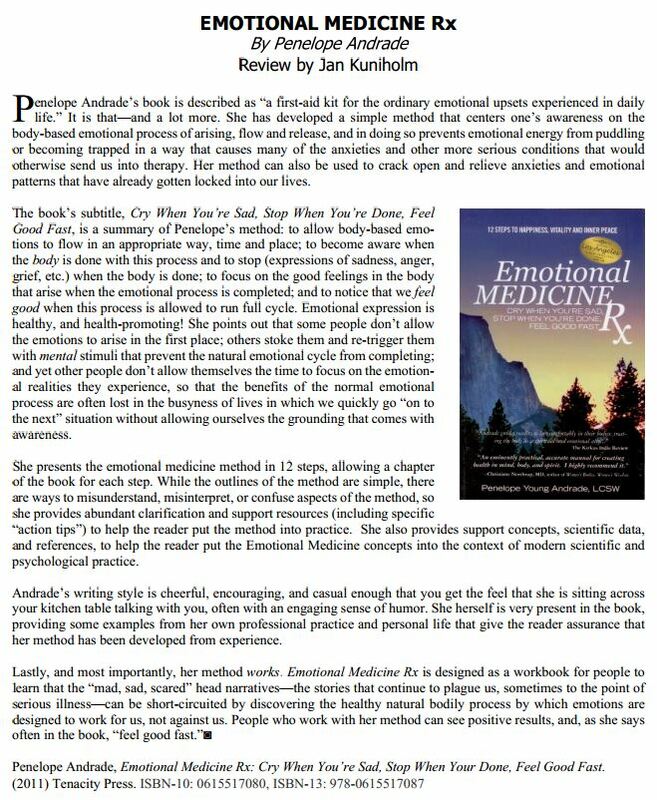 With tips and advice for making one’s emotional health flourish, “Emotional Medicine Rx” is a strong pick for self-help and empowerment collections.